This week was one of those weeks with so many interruptions you are not sure when you are going to actually be in your classroom to teach. When the week becomes choppy and our routine flies out the window I often try to fit in a concept that we can cover or review in a few days, something that is a little lighter and that the kids have fun with. So this week we looked at symmetry. Since this is a concept that most students experience success with I decided to strongly tie it into one of the mathematical process: reasoning and proving. Here is what I did. First I got a few key youtube videos ready to go. This first video is great for building excitement to start off your lesson. I used the Family Feud theme but the Price is Right theme is also here. You will also want to have the "thinking" music from Jeopardy ready to go - this one can play it for an hour!! I brought in a music stand for my hosting podium and the microphone from our Rockband game (wish I had an FM system but I can boom my voice when I want!!). Then the fun began. With the theme music playing and my best announcer voice booming I called my students over to the carpet to join our studio audience. I introduced the host (me - this is just a sample) and the contestants. 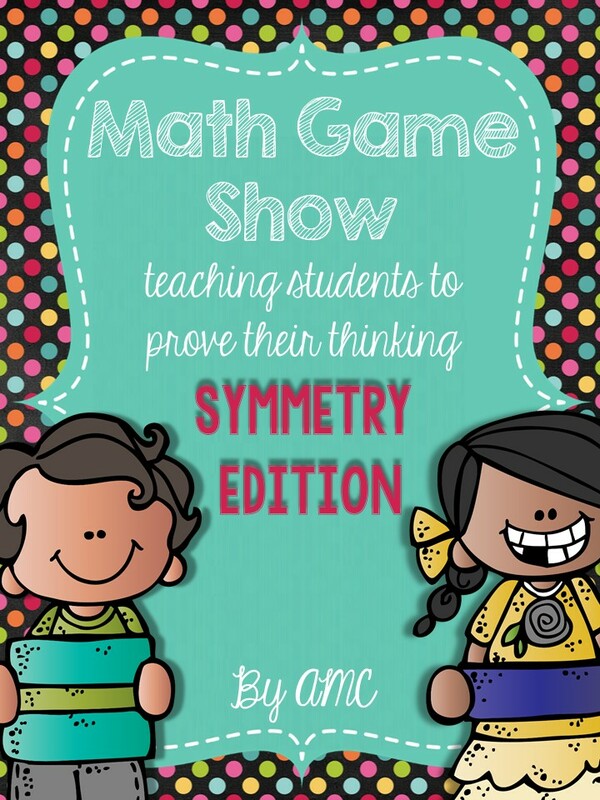 But, students did not just get to say whether or not the figure was symmetrical they had to figure out and prove which contestant had the right answer. I gave table groups copies of the shapes from the game show so they could test the different answers given by the contestants and prove which answer is correct. Another option is to assign students to a contestant and they figure out if their contestant is correct. You could also have students work in pairs or as a whole group using interactive whiteboard tools. While students were working I kindly played the thinking music from Jeopardy. We would come back together as a class. I would call out the contestant's answers and with a round of applause my class would tell me who they thought was right. 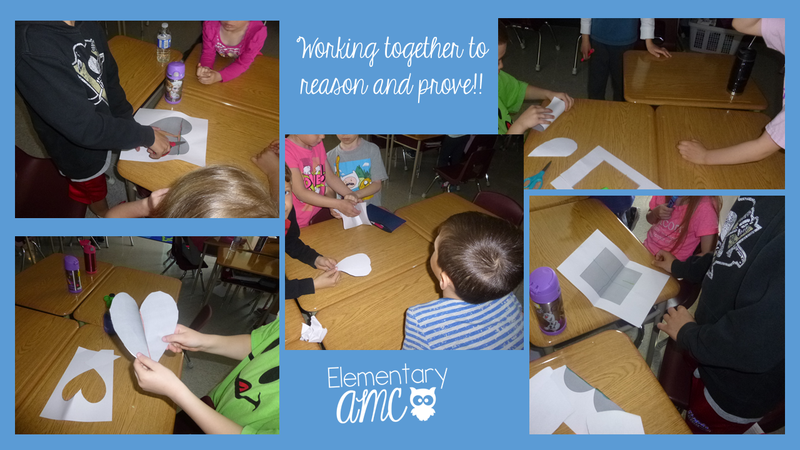 Sometimes there were disagreements or misconceptions we had to work through together as a class. This was the perfect opportunity to call audience members to the stage (my podium) to share their thinking and model. Once we reached a consensus we would assign points to the correct contestant. Here was our scoreboard during our commercial break. The game could not be completed within one math period - so we of course took a commercial break. While my students were having a snack before recess I played a few commercials from youtube. I know a few kid friendly commercials but find movie trailers to be the safest. We watched the one for the new Peanuts movie , the Inside Out movie and the Minion movie. 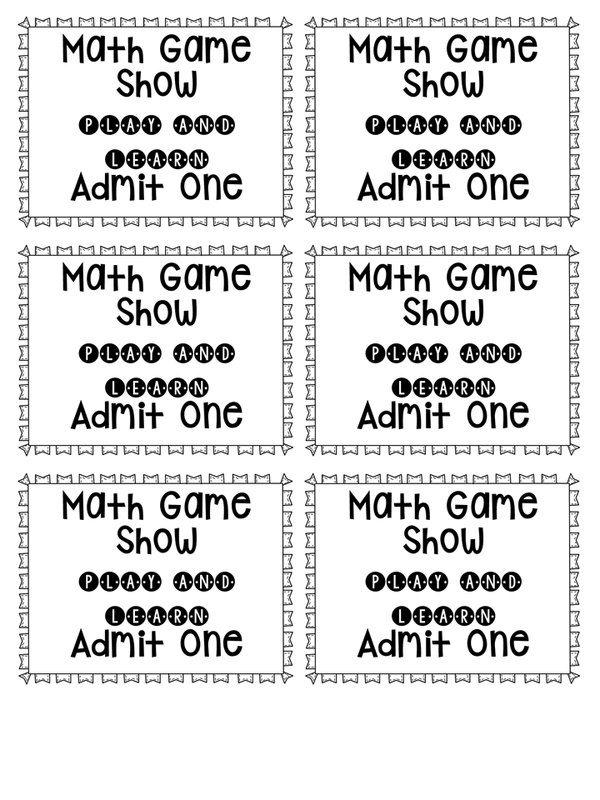 While I called my students down - you could also hand out tickets for the game show. Here is a file I created that you could use for any game - print on colorful cardstock and laminate to reuse. Click here to get a copy. If you want to check out the game show and follow up activities I created click on the picture. 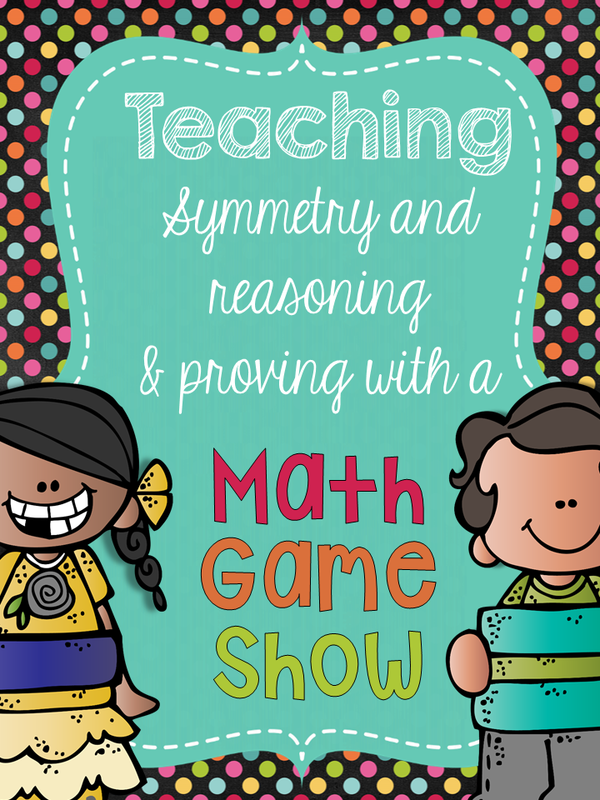 You can check out this blog post to read about another math game show we did in grade 3. You are too cute! I LOVE using game shows in my classroom! I have the Jeopardy and Price is Right music on a CD, but I love the two clips you shared with a variety of music and one hour of Jeopardy! And, the commercial breaks? So clever! The best part of your game show is they're giving points to "pretend contestants" and having to prove their thinking. They're not competing against each other. I love the whole post! My wheels are turning for my math block this week! Thank you for sharing and linking up BBB!